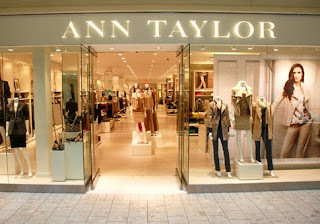 Shopping Tip: Get an extra 10% off if you pay with your Ann Taylor Card. Works on the first Tuesday of every month. Print out the whole email, get an extra 10% off at Ann Taylor Factory Stores only. I don't think you need the coupon but I would print out the whole page just in case, get 40% off full priced items and 60% off sale styles. Print coupon for a $25 discount on your entire full-priced purchase. Print coupon for a 15% discount on your entire purchase, valid at your local Ann Taylor Factory store. 40% off discount will be taken on all full-price tops, full-price sweaters and full-price knits & tees. This weekend only.